Dr. Gloria J. Goodman was born and raised here in Southeastern Pennsylvania where she graduated from Sun Valley High School. She went on to study at the University of Delaware and the University of Pennsylvania School of Veterinary Medicine where she graduated in 1977. 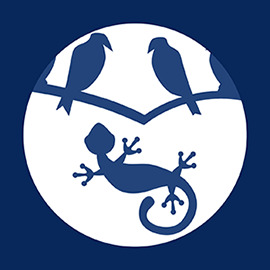 Dr. Goodman has over thirty years of experience with birds, reptiles, and small exotic mammals. We are lucky to have a practice solely dedicated to these animals with a Board Certified specialist in Avian Practice. Here at Avian and Exotic Animal Medical Center, it is our philosophy and goal to provide very personalized and high quality medical care for our patients. Each of us is, or has been, the owner of a much loved pet and we strive to provide the level of care and compassion for your pets that we want for our own animals. Office visits are relaxed—never rushed—and we are happy to answer any and all questions that you may have. It is our goal to educate owners of new patients on the proper care and feeding for their pets, no matter what type! Our staff is well educated to help owners give their pets the very best life possible. Don’t hesitate to call if you have any questions or concerns. We are here to help! You may be wondering why you should choose a specialist for your avian and exotics. Here are some reasons that you should choose our hospital.